So, what to do with those strawberries…one idea is good ol’ strawberry shortcake. I grew up in Pennsylvania Dutch country, and the PA Dutch version of shortcake is so much better than those spongy rounds you get in the store. In fact, strawberry shortcake is more than just a dessert, it’s actually a meal for hot summer days. - Bake at 350 degrees for 30 minutes or until a toothpick can be inserted and come out clean. 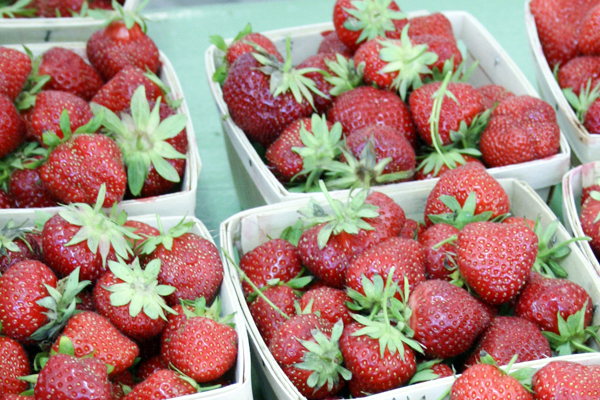 - Cut into servings, then serve with milk and fresh strawberries.